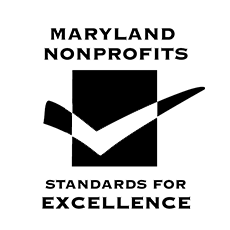 Do you make charitable donations at your workplace through United Way, Maryland Charity Campaign or Combined Federal Campaign? Then please consider designating The Arc Baltimore for your gift. 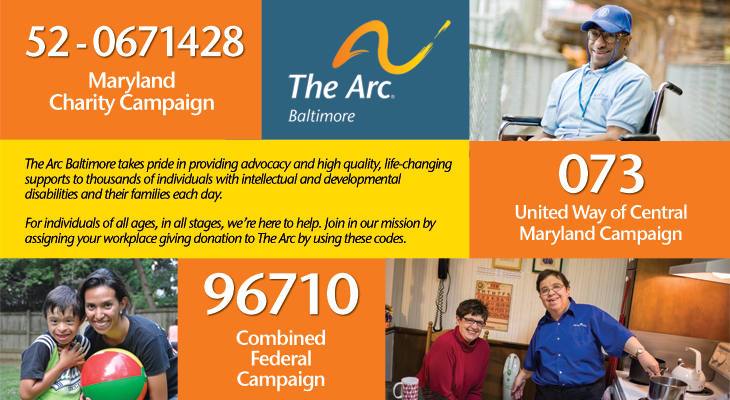 The Arc Baltimore provides needed resources to families,help navigating the system,respite and IEP advocacy. Young adults graduating from school count on our support as they transition to the world of work. Our numerous employment and day programs are designed to meet all abilities and preferences. We help people choose how they want to live- alone or with a roommate,in an apartment or home or with their families. Our offerings even include a range of community-based camp, recreational,volunteer and social activities. Your contribution will help The Arc remain an indispensable resource to thousands of individuals with intellectual and developmental disabilities and their families.